NAO Cloud is our indoor positioning platform for easy one-stop access to all our indoor location products and services. Because not everyone is an indoor positioning specialist, we designed an all-in-one platform with a unique access to all the resources you need to set up accurate, reliable location based services quickly and seamlessly. Our BLE beacons, SDKs, indoor mapping solutions and RTLS are all available through NAO Cloud. Whether for a single venue, large campuses or a whole smart city, NAO Cloud is your one-stop solution for scalable indoor positioning. 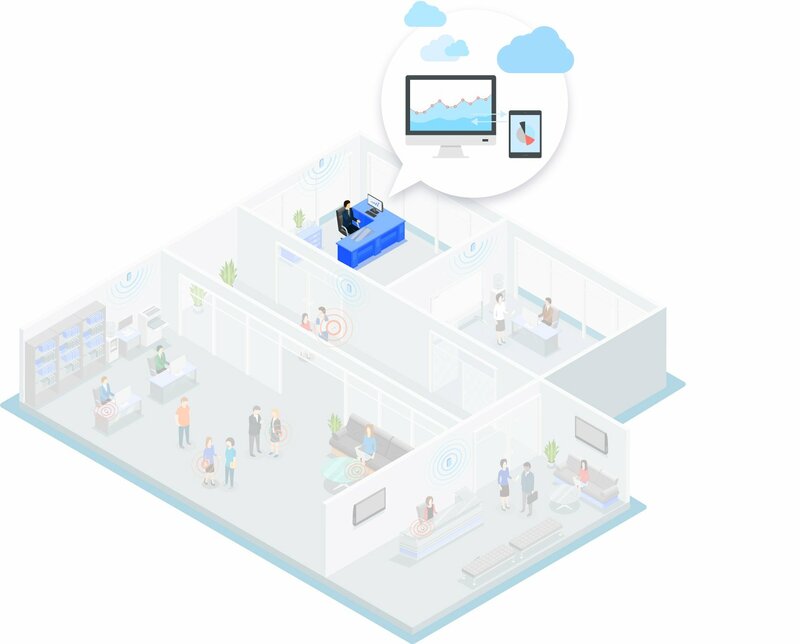 Our indoor location platform NAO Cloud is the gateway to deploying location based services such as indoor navigation and wayfinding, people and asset tracking and indoor location analytics 100% autonomously. NAO Cloud simplifies the deployment, monitoring, scalability and maintenance of all Pole Star indoor location services. A multi-solution platform, NAO Cloud is our customer and partner interface. It can be tailored to your needs and provides access to all indoor location data collected and invaluable analytics. Open a NAO Cloud account and create your own project. Manage and maintain your indoor location service and BLE beacons at your sites. Download all the technical documentation and supports you need. With our all-in-one indoor location platform managing your geolocation mobile services couldn’t be easier. NAO Cloud allows fast deployment on multiple sites and campuses, in just a few clicks and a few hours. By automating the deployment process, Pole Star considerably reduces deployment times and costs. Accessible via NAO Cloud, our Analytics dashboard is entirely configurable and customizable. It allows the user to easily and ergonomically visualize flows, visitor statistics, occupancy rates of defined places and zones, and much more for invaluable insights into your business. Go on NAO Cloud ?